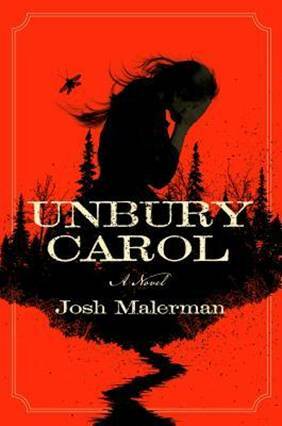 Yes, it was supernatural and yes, it was a western, but it could have gone either way and that’s what’s special about Unbury Carol. The supernatural element was spooky. Without adding any spoilers, it addressed one of man’s basic fears and twisted it into entities, apparitions, and just plain visions but it did so in such a way that the reader wasn’t really asked to suspend disbelief--might be the supernatural acting on humans, might be strong emotions clouding reality. You’re never really sure--I like that. The western element was a good ride; plain, old, cowboy stuff. Outlaws, deputies, sheriffs, saloons, cathouses, outhouses, horses, and trails. If Marshall Dillon had ridden up on one of the characters, I wouldn’t have been at all surprised. We all seem to enjoy a story of the old west, even if we won’t admit it. And a thriller? Yes. No doubt. The suspense builds nicely, if a bit sporadically, but don’t start reading the last third of the book unless you’ve got a few hours to kill because you won’t be putting it down. The characters were fleshed out perfectly. I had no problem at all seeing them in my mind’s eye. And the “bad guy” was a stroke of genius. Again, no spoilers, but when you run into the triggerman named Smoke, you’ll definitely remember him. Supernatural western thriller--three words you don’t hear together often. The only problem I had with this book--the only reason I can’t give it 5 stars--is “hell’s heaven,” a phrase spoken by ever single character--and I can’t figure out why. I’m fairly well-read and fairly well-traveled, and other than “Hell’s Heaven” being an absolutely horrible, new-age musical piece by Enigma, I’ve never seen or heard the term before. And it got old pretty quickly. When every character says it, you can imagine. I could have missed something, but I don’t know what, and I firmly believe an editor should be canned and sent to the salt mines for letting that phrase get in the way like it did.